Established as early as 1900, Bukit Nanas Forest Reserve (BNFR) is the oldest of its kind in Malaysia, offering a biodiversity- rich enclave, right in the middle of an ever-growing urban skyline in the capital city Kuala Lumpur. Despite witnessing its territory reduced over time, from 17.5 to 9.37 ha, a team of scientists prove that Bukit Nanas Forest Reserve (now known as KL Forest Eco Park) still retains important biodiversity. Making use of a specifically designed 'Ecosystem Inventory' article template in the innovative open access journal One Ecosystem, the team of scientists from Forest Research Institute Malaysia (FRIM) prove that although it's lost almost half of its territories, when it comes to plant species the reserve retained most of its diversity. During the new surveys conducted in April 2015 until May 2016, the authors recorded a total of 425 plant species still growing in BNFR territories, out of which 159 were new record species never collected from the area before. For comparison, the cumulative total of records from all previous surveys, the first ones starting as early as 1901, amounts to 499 species. With its small area, BNFR surprises with rich flora, and it comes as no surprise that it has traditionally been the site used by many Forest Department officers as a place to study plants. 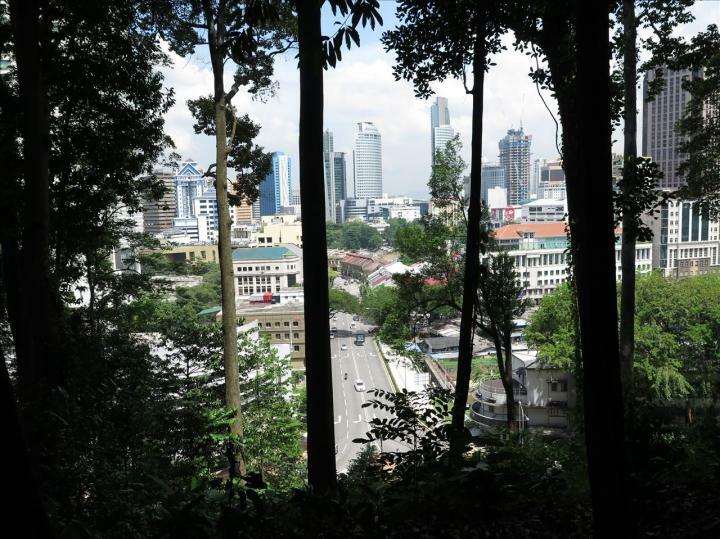 "This, alongside the important position of Bukit Nanas in Kuala Lumpur's urban context, as a green lung in the bustling city, enriching its biodiversity, history, public recreation qualities and offering possibilities for scientific study and education, has prompted our surveys of the floristic richness of the reserve." comment the authors. The scientists were not disappointed by the park's biodiversity, surprisingly still finding some enormous trees that appeared to be several hundred years old. The biggest of these is Ficus vasculosa, commonly known as 'Ara', with a diameter at breast height (dbh) of 124 cm. From Henderson's list, one of the very first, Tarrena rudis, an endemic species found only in Selangor, was recollected by the FRIM researchers, surprisingly still dwelling in BNFR after 87 years of its first record there. In terms of endemic loss compared to previous surveys, however, 12 species could no longer be found on the territories anymore in BNFR. "Bukit Nanas Forest Reserve can be still categorized as a forest with a good structure and diversity still holding a great variety of species. "explain the authors in conclusion. "The large loss of previously recorded endemics, however, raises concerns about the future of this reserve and calls for reconsideration of conservation measures." One Ecosystem is an innovative open access scholarly journal that goes beyond the conventional research article publication, open for submissions ranging across the entire research cycle, including: data, models, methods, workflows, results, software, perspectives, policy recommendations & more. The journal offers a wide set of article templates, including domain-specific ones, such as Ecosystem services mapping, Ecological models or Environmental monitoring, allowing scientists to publish and get credit for their work at any stage of the research cycle.